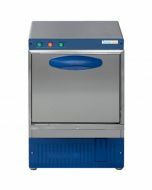 The Asber Tech 500mm Commercial Dishwasher is the latest addition to our range and has been designed to be an all-in-one solution for most commercial dishwashing requirements. 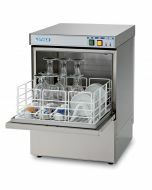 Featuring a digital control panel with 3 easy selectable wash cycles and a built-in water softner that inhibits limescale, the Asber GT500 commercial dishwasher is capable of washing up to 540 plates per hour. Featuring a built-in water softener, the Asber GT500 has been designed for areas with hard water. 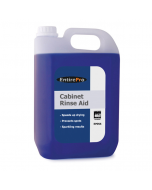 Unlike many traditional commercial dishwashers, the GT500 does not require an external water softener to be fitted, saving space and additional costs when plumbing. Operators simply top-up salt from inside the machine cabinet. 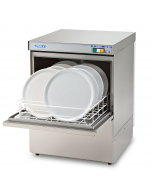 Featuring the latest on-board technology, the Asber GT500 commercial dishwasher features a new generation of all-digital control panel. 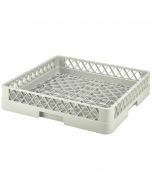 Simplifying ease of use for operators, the digital control panel allows you to select between washing cycles depending on soiling requirements. 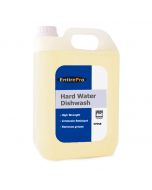 The digital control panel also shows the temperature display as the machine heats up and completes wash cycles, guaranteeing a hygienically safe rinse at 85c to kill harmful bacteria. 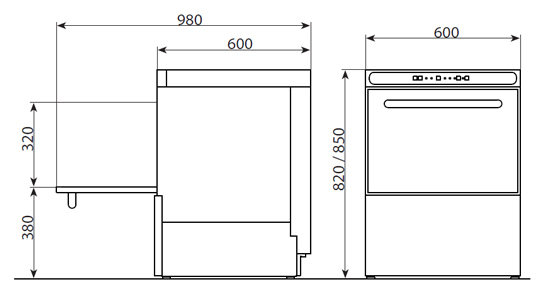 Combining high performance dishwashing with simplicity and practicality in design, the Asber GT500 commercial dishwasher features rounded tank corners to prevent build-up of grease and food debris. 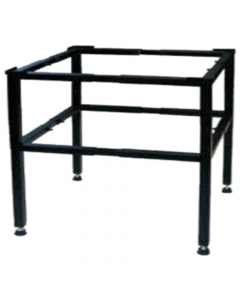 A wash tank filter traps food debris to prevent it from blocking pumps components and all accessories inside the wash tank, such as arms and filters can be easily removed for cleaning. Operators can also use the digital control panel to change settings such as dosing or monitor diagnostics information. 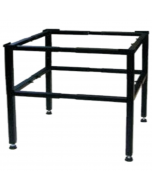 All components are accessible from a removable front-panel. 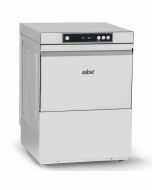 Featuring a 25-litre wash tank and independent rinse booster boiler, the Asber GT500 commercial dishwasher provides quick heat-up and recovery times whilst maintaining energy efficiency. 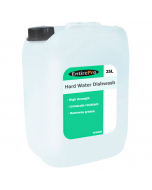 Utilising only 2.7 litres of water per rinse, it guarantees a hygienic rinse is delivered at 85c on every cycle, killing harmful bacteria. Users can monitor temperature using the digital control panel, helping to ensure stringent compliance with health and safety. An anti-backflow device is also fitted as standard to achieve full WRAS approval for use in commercial kitchens. Two 500x500mm dishwasher baskets and 1 cutlery insert is included as standard alongside all waste and water hoses for UK installation. 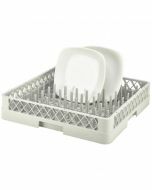 A free chemical pack is available with every Asber Tech Dishwasher.